The Baja peninsula is a land of Quixotic spirit, a spirit that can be sensed in the crisp sea-salt air of the coastline and the shimmering view of ancient cave paintings in the arid desert. In this transcendental landscape, the sea merges with canyons in an unparalleled synthesis. On this tour, witness the immensity of the ocean and the intimate experience of engaging with whales in sheltered lagoons. Hike among brush and cacti through arroyos, your own desert solitaire, to stand before haunting and mythic cave paintings depicting cultures and peoples long since gone. You will take trails and find unmarked paths; you will commune with nature and look into the enigmatic eye of the whale. 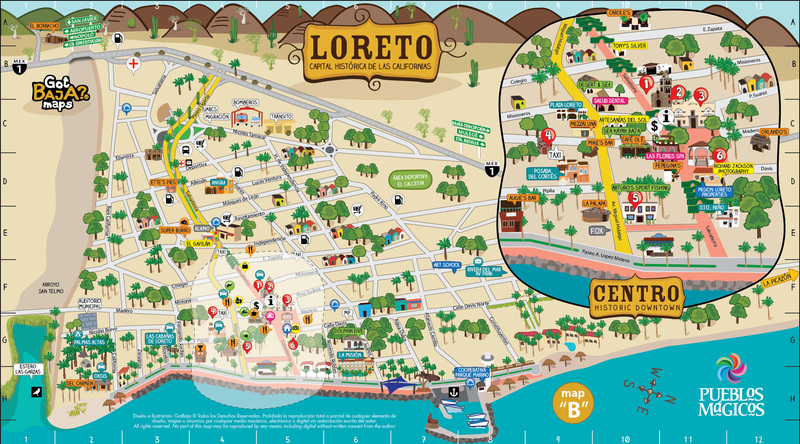 The journey begins in Loreto, where you can explore a land immersed in history by visiting its missions and murals that testify to a complex and beautiful culture. Relax at our coastal campsite in San Ignacio, where you can stroll through dunes and uninhabited beaches in between whale watching excursions. On our small skiffs, await gentle grey whales to approach you with their calves for a profound encounter. Our trip later takes you to Santa Teresa Canyon, where you will spend your days hiking through caves and creek beds and relaxing in the shade of neighboring palm-covered oases. Wonder at the cave paintings whose symbolic meaning we can only guess at, but which clearly relay a resonant connection. The Baja peninsula embodies the spirit of the unexpected, and new discoveries await you in this tour through breathtakingly unique landscapes. Wander through this wilderness and discover your inner wildness. We begin our adventure in Loreto, a historic coastal community on the Sea of Cortez that has also been home for ROW Sea Kayak Adventures’ Baja operations since 1993. Loreto was originally founded by Jesuit Missionaries in 1697 and remains the oldest permanent settlement in the Californias. Now a growing destination for tourists, Loreto and its people maintain a significant role within our company, and we are proud to be part of the community. While we employ over 15 local Mexican guides, we also support a number of local businesses and purchase our supplies within the community in order to help sustain the Baja Californian economy. While the town is gaining commercial attention, it retains its historic and idyllic ambience. For your first night, you will be staying at a hotel situated upon the beautiful waterfront where you can easily walk along the beach or explore the vibrant town. While staying here, there will be whale watching, hiking, and snorkeling opportunities at your fingertips. Loreto is also our base for kayaking tours where you can explore the neighboring islands of the Loreto Bay National Marine Park. Launch the first day off by exploring the town and beaches before gathering for our evening orientation meeting. Today you get to explore the spectacular and varied landscape as well as its natural history! After a delicious breakfast at the hotel, we tour the coast toward the north before traveling west toward the Pacific Ocean through desert habitats. There will be plentiful opportunities for viewing the diverse terrain of Baja California Sur as well as stopping at places of historical note. If time permits, we will visit the prehistoric cave paintings and rock art near Mulege before touring the old French mining town of Santa Rolsalia. Santa Rolsalia houses the singular metal church designed by the Eiffel Tower’s own Gustave Eiffel, which won first prize at the 1889 Paris World’s Exposition. We continue our exploration of Baja missions into the afternoon with our stop at tranquil San Ignacio, an old mission town. We will spend an hour or so learning about the history of the California missions and visiting the Spanish Mission, constructed in 1786, before checking in to our simple hotel in town for our final stop of the day. Whales were once icons of the powerful and the unknown, and they retain a unique sense of mystery and elusiveness even amidst scientific advancements that are helping us learn more about these gentle yet majestic creatures. Few people are able to witness these creatures in their natural habitat outside of arenas and captivity, and our whale watching expedition will allow you to encounter whales on a personal, authentic level. Baja California is visited by many kinds of whales, including blue whales, humpback whales, sperm whales and more. However, the most prominent whale is the gray whale, and Baja California is one of their well-known birthing grounds. Whale watching from San Ignacio Lagoon is an unmatched experience, for the gray whales are known to be friendly to their human visitors and often initiate interaction. Mothers have even been known to lift the calves out of the water so that their babies receive all of the attention and petting. Our whale watching excursions are held from “pangas”—compact, motorized boats— that allow a closer view of the whales. The pangas, navigated by experienced sailors, take you near to a spotted whale or pod of whales before allowing the whale to approach you if it so wishes. During these sessions, you will likely see whales breach, spyhop, and perform single or double tale lobs. You can hear whales ‘sing’ to one another in haunting calls. If you’re lucky, a whale or even a calf will swim close to the boat looking for a more ‘personal’ touch in the form of a scratch or a head rub. Such an intimate experience can be enlightening and transcendental, forming a connection unsurpassed in artificial environments. Our onboard naturalist will guide our sea safari and serve as a knowledge resource, further enhancing the experience. We will have two whale watching sessions today, each about 2 hours in length. However, we will take weather, whale activity, and whale watching ordinances into consideration; these parameters could influence the timing of our excursions. In order to protect the whales in their natural habitat, whale watching is a monitored activity in order to mitigate boat congestion and traffic so that your experience is unique and natural. Whales are not the only wildlife we will explore at San Ignacio, and when you are not on the water there are opportunities to hike through the dense root systems of lush mangrove forests, birdwatch, or view the panorama of the coast and its native species. After a full day of whale watching and exploring in the San Ignacio lagoon, we will return to our simple hotel accommodations for another restful night sleep in San Ignacio town. After breakfast, we will pack up and get ready to travel out of San Ignacio. On our way to the canyon, we will be traveling on Highway 1 toward the historic town of Sierra de San Francisco, home of prehistoric communities whose presence can be seen in the outstanding collection of rock paintings. The dry air and higher elevation (around 3000’ or 1000 meters) preserved the rock paintings which illustrate a profound connection between humans and their environment through depictions of prehistoric hunter-gatherers and many animal species. Sierra de San Francisco was added to UNESCO’s list of World Heritage Sites in 1993 and stands as one of the five largest concentrations of rock art in the world. Our first stop will be to view Cueva del Raton, a prominent mural depicting a human with a black face patch, deer, and a mountain lion. When we reach the town of Sierra de San Francisco we will pick up our permits with INAH, the Mexican archeology authority, before preparing for our trek through Santa Teresa Canyon. On our adventure through the canyon mules and horses, the time-honored method of canyon transportation, will help carry our gear. We will follow the picturesque trail through towering canyon walls and cacti indicative of the intractable desert before reaching a serene, secreted oases covered in verdant palms. The mosaic of colors in these merging ecosystems is unparalleled. We will enjoy this stunning scenery before reaching the Arroyo San Pablo, which is a few miles away from our base camp. Relax from the long day of hiking around a campfire while eating a hearty meal prepared by our cowboy guides. Share trail stories by the firelight under the stars before bunking down for a long day of discovery tomorrow! Over the course of the coming days, you will be able to explore multiple painted caverns in-depth as well as hike through the stark beauty of desert canyons. The desert offers a rare form of enchantment, and you will spend your days traversing slopes of volcanic rock and dry creek beds. Cool down under palm trees after roaming among the procession of caves. During our stay, we have planned a visit Cueva de la Soledad, aptly named for the solitude provided by its perch high on the plateau. Painted high on the roof of the cavity, large images of anthropomorphic figures referred to as “monos” are layered upon images of animals, creating a surge of movement. Adjacent to this cacophony of images lays a checkerboard of color, created by yellow-lined boxes filed in alternatingly with red and black. The figures and symbols are dramatically painted in colors created from minerals found in the region of the volcano of Las Virgenes. The Cueva de las Flechas, the Cave of Arrows, is another prominent cave we will visit. Unlike most other cave art, this cave features human figures with arrows in them rather than animals—one figure having as many as ten arrows in it. The meaning behind the paintings remains obscure to scholars, however, who cannot determine if the cave depicts black magic superstitions or a history of warfare. We will also tour Cueva Pintada, the largest collection of murals, measuring 500 feet across the base of the cavern at its opening. The murals are well preserved, possibly due to the cave’s remote location away from traffic; many locals hypothesize that the cave went undiscovered by missionaries until around the late 1880’s. Cueva Pintada is known for the homogeneity of its figures as well as the variety of wildlife depicted. The cavern shows images of humans as well as birds with outstretched wings, other terrestrial wildlife such as deer, and, most surprisingly, sea mammals such as a whale and sea lion. The paintings are large and extend high up into the ceiling, and many propose that the painters built platforms from the nearby palms in order to reach the cave’s back wall. A short distance from Cueva Pintada lies Boca de San Julio, whose dynamic portrayals of a leaping buck and a pregnant deer are continually illuminated by the sun throughout the day. In this cluster of caves we can also find the cavern known as Los Musicos, named for the human figures who dance as if musical notes upon a scaffold of white lines resembling a score. These are just a sampling of the sites you can explore as you delve into significant cultural heritage sites that express a compelling view of life and nature. We will make the most of our last day by visiting any remaining caves and locations that we are inclined to explore before beginning our ascent out of the canyon. We will reach Arroyo San Pablo before we continue our climb to Guadalupe Ranch and, lastly, San Francisco de Sierra. On our uphill hike you can appreciate the complex ecosystems—the merging of desert and sea—that are so unique to the area. Enjoy the spectacular vista of the immense dunes and the feeling of being truly encompassed by nature before reaching the canyon rim. Once there, our van will meet us to begin our return trip to Loreto. We should arrive in Loreto before the evening sets in, which provides you with well-earned time to enjoy the hotel’s amenities, some delicious local cuisine, and a good night’s sleep! Arrange a Tour Extension Option to follow your tour, along with hotel in Loreto or prepare to return home today. NOTE: Itinerary subject to change. Please inquire with your Adventure Consultant for more information on this tour package. For 2-3 guests add $500/person surcharge. Single Supplement: If you are a solo traveler and wish to have your own hotel room in Loreto (or if we are unable to pair you up with another solo traveler), an additional single supplement of $120 USD is required. Solo travelers will typically have their own tent at whale camp, at no additional cost. However, we are unable to guarantee individual tents at whale camp due to limited tent capacity. If you are asked to share a tent at our whale camp, rest assured that tents are very spacious, full-height canvas wall tents, with two cots and plenty of room to stand and maneuver around your tent-mate without difficulty. ALL PRICES IN US DOLLARS. We will do our best to adhere to the itineraries and trip descriptions listed on our website. However, tour itineraries or subcontractors (such as taxi, cruise boats or hotels) may change slightly due to reasons beyond our control including but not limited to Acts of God, wind, waves, inclement weather or other. We always welcome you to call us to clarify any item - often this is the best way to fully clarify expectations - call us collect or on our toll-free number. You will be sent pre-trip email with latest details within a month of your tour - it is your responsibility to check in with us prior to your trip to see if you have all the information you need. We will always do our best to provide you with the best possible tour and to fully meet your expectations to the best of our ability. TOUR INCLUDES: Fully escorted guided tour including professional naturalist guides to accompany you while staying at whale camp and during hiking tour, all National Parks & Biosphere Reserve access fees required by itinerary, all meals from breakfast on Day 1 through lunch on the last day, camping gear, whale watching excursions, hotel in Loreto on arrival and departure day, and taxes. NOT INCLUDED: airfare, transportation to and from the airport, meals in town, gratuities, and any extra souvenirs you wish to purchase. HOTEL VS CAMPING ACCOMMODATIONS AT WHALE CAMP: We provide large canvas tents, 8x10’ and 6’3” tall, with cots, pads and sleeping bags. If you would rather stay in the small hotel that is about 100 yards from our camp, there is a $25 per person per night surcharge. The rooms are very basic with running water, indoor plumbing, and double beds. All meals will be served at the whale camp. We are a fully registered and legal Mexican company, operating as Aventuras de Kayaks SA de CV. All our guides and office staff is local and Mexican. Trips are supported by our USA-based offices. We bring 35+ years of risk management experience to our trips. Guides carry a satellite phone for emergency purposes only. Why would I choose this tour over another that flies directly to San Ignacio? Apart from the cost savings...you, the guest, have more flexibility when flying into Loreto. First, there are simply more flights and it's more affordable. Second, it's a great location to extend your vacation experience by either kayaking, snorkeling or any other activity Baja has to offer. Although we don't fly directly into San Ignacio, our guests have found that the cost savings, and flexibility, of not having to fly to San Diego, then bus to Tijuana to then take a charter flight to San Ignacio lagoon, is in fact much easier. Loreto is an ideal base for exploring other regions of Baja and there are several flight options to get there. In addition, on the day we drive from Loreto to San Ignacio lagoon, you get a great feel of the Baja landscape and people we meet along the way during our special activities that day. It is important to understand that this is a camping trip and we want to be sure that you are prepared, both mentally and physically, for the challenges it will present, and have clear expectations about the trip. During the day at our San Ignacio Whale Camp, we'll spend two hour sessions on the water in motorized skiffs (called pangas) whale watching. While whale watching from a boat is not strenuous and the water is usually calm, the bay can be choppy when it is windy, so if you are susceptible to seasickness, bring medicine or whatever you need. The hiking aound San Ignacio Bay could best be described as leisurely. For the Cave Painting tour the first day’s hike leading down to the depths of the canyons is a challenging day. We recommend the use of hiking poles. The distance is around two miles down and the trail is comprised of dirt and loose rock. Most would consider it a moderately difficult hike. The elevation is not high, starting at about 3000’ (970 meters), so altitude is not really an issue. Once in the canyons the hiking is easy, but some of the climbs to the caves require travel over some steep stretches where hands and feet are needed to climb. On the last day we hike back out of the canyon, slow and steady. We estimate the climb to be around 1100’ (330 meters). Horses are available for a modest additional charge. If you choose this option we request that you bring your own riding helmet. We do require that anyone over 70 or with any health or weight concerns consult us before signing up to make sure you are up to fully participating. The minimum age for our family whale watching base camp trips is 8 but we require a minimum age of 12 for the hiking portion of this tour. We do make exceptions on occasion, so call us if you think your child is physically capable of participating in this tour. We send you a complete packing list. We provide tents, sleeping bags and sleeping pads, as well as all camping gear. You bring your own clothes, hiking boots, hiking poles, camera, toiletries, etc. Can I kayak with the gray whales? How many people visit these cave paintings each year? Fewer than 500 people make it to these remote canyons annually. Do you accommodate private groups? Absolutely! If you have a group of 8-18 friends or family and would like a private trip we are specialists in tailoring a custom trip for you. Perhaps you’d like a trip that is a day shorter or includes other elements our standard tour does not. Whatever it is just call us and let’s start the planning process! The Loreto Airport (LTO) is serviced by Alaska Airlines direct from Los Angeles International Airport (LAX). The flight from LAX to LTO is typically in the morning. Depending on where you are traveling from, you may need arrive in Los Angeles a day early, and stay overnight in a hotel near the Airport. Many LAX Airport hotels offer a free shuttle service to and from the Airport. Westjet has seasonal Saturday service (mid February - May) direct from Calgary (YYC) to Loreto (LTO). As flight options for Loreto are limited, we recommend making your reservations as soon as your ROW Sea Kayak Adventures tour is confirmed. Note: Loreto is also accessible through San Jose del Cabo(SJD) and LaPaz(LAP); however both of these options will involve an additional internal flight or a long bus ride (5-7 hours) North through the Baja Peninsula.